In 1877, George Eastman dreamed that wonderful world of photography might be accessible to the average person. At the time, photography working outdoors had to carry multiple pieces of bulky equipment and a corrosive agent called silver nitrate. Eastman theorized that if he could eliminate most of this equipment, he could make his dream a reality. Working in a bank by day, he spent his nights reading books on chemistry and magazines about photography. He took foreign language lessons so he could real information published in France and Germany. Then with a partner, he began his own company in 1881. Almost immediately, a problem arose with the new “dry plates” he had invented. Eastman refunded the money to those who had purchased them and returned to his lab. Three months and 472 experiments later he came up with the durable emulsion for which he had searched! Eastman spent, many nights sleeping in a hammock at his factory after long days assigning equipment. To replace the glass used is photographic plates, he created a roll of thin, flexible material now known as film. To replace heavy tripods, he developed a pocket camera. By 1895, photography was at last available to the “common man. 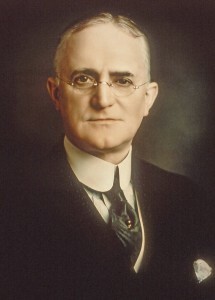 George Eastman’s long term vision kept him motivated even when 471 experiments faded. Keeping your ultimate dream in mind, set short, attainable goals, and before you even know it, your vision will become a reality!